Recently while on-site, I was helping train a summer intern. In describing what I do in the field vs. what she was learning in the classroom, one thing that came up was how I handle mitigating public complaints – definitely experience you don’t gain in the classroom, but also something rarely discussed there either. How I explained it to her, in general, was that we are Civil Engineers by education, but when we are dealing with public complaints we are called upon to be ‘civil’ engineers. 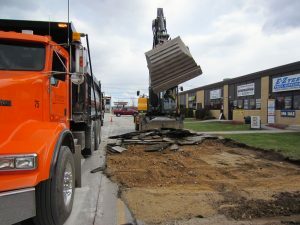 As RPRs, we serve as the face of our clients, who in our field are more often than not public agencies –DOTs, municipalities, airports, and the like – that people rely on to provide them with clean water, handle their refuse, and provide safe roads and bridges to accommodate their travel from “point A” to “point B”, among other things. 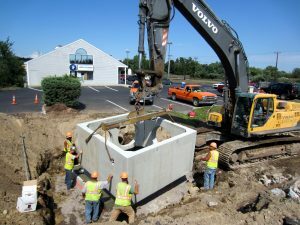 Every construction project has its share of challenges, but when it’s a public infrastructure project there is often more scrutiny from the public eye as it is their money funding the project and they have more of a stake in the final outcome. RPRs are the civil engineers fielding the public concerns when there are “cracks in the driveway from blasting”, “sediment in the pond from digging”, or “no more trees screening my view from the highway”. 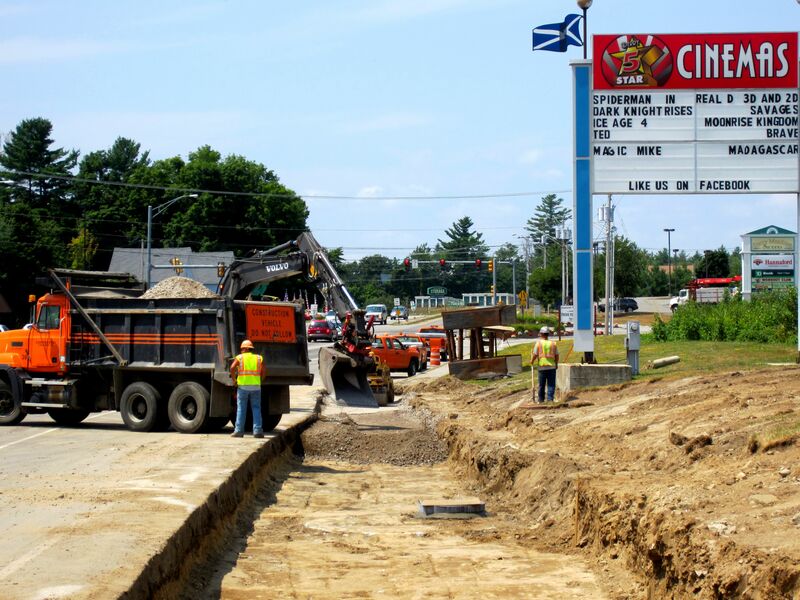 We often hear from impassioned abutters who never had this problem before the “Town decided to re-do the bridge” or the “State decided to widen the highway”, and so on and so forth. The complaints don’t come in when there’s a lull in construction; they often come in first thing on a Monday when everyone is trying to get organized for the busy week ahead. They come in during the critical part of an operation. They come in at the very end of a long day when the thoughts of the day’s activities can’t seem to wait any longer to make it into the daily report. This is when we must remember to be ‘civil’ engineers by putting aside the stresses of the day to address the public with a thoughtful ear. We must express a general concern for what the issue is, regardless of how minute or outlandish it may sound. We must remind ourselves that it is difficult for most people to “see the forest through the trees”, especially well into the middle of a project when the area looks nothing like its former self, and a shadow of the finished product. The concerned neighbor and the irate business owner are not focused on what the plan says (nor are most trained in reading the plan); they care about the immediate impact of the current construction effort. By representing our clients in a ‘civil’ manor, we offer inflamed abutters a professional courtesy, and portray our clients’ intentions to address the issue at hand. In some cases, this alone is enough to allay their fears – knowing that the project isn’t carrying on in a wonton fashion, but rather under watchful scrutiny. Whether that neighbor is being cooperative or difficult, whether that business owner is being reasonable or unreasonable, we must remain ‘civil’ in our handling of their concerns – especially when we are tired, our patience is worn thin, and other situations on-site are demanding our attention. To do otherwise would be a disservice to our clients, our profession, and the public we serve, and dare I say ‘uncivilized’. RPR, or Resident Project Representative, is the general term for an inspector, resident engineer, contract administrator, clerk of the works, etc. ; basically the field person responsible for ensuring that a project is constructed per the Contract Plans and Specifications and reporting back to the Owner.